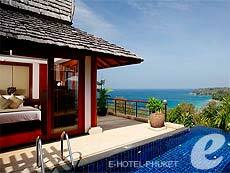 Located near quiet Surin beach, Twinpalms Phuket is a small boutique resort opened in December of 2004. 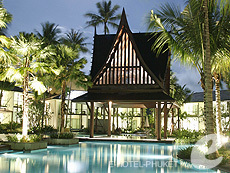 It has an open-plan design.and the main lobby leads to the swimming pool. 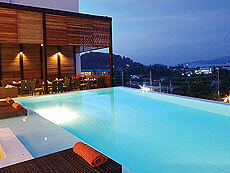 All of the rooms surround the swimming pool, so the rooms on the first floor have direct access to the pool. 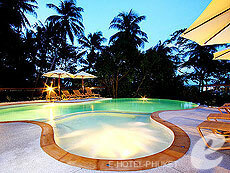 The daybeds for two on the poolside provide complete relaxation. 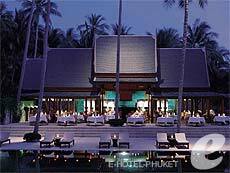 The rooms are simply designed with a monotone color scheme, you will have a peaceful time.